Stone Harbor, NJ! Floor Skinz is coming for you! Living on the coast of the Atlantic Ocean, when big storms come your way, there tends to be massive amounts of flooding. 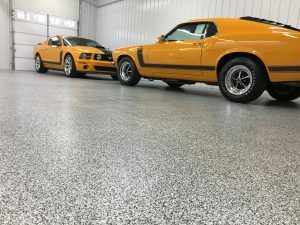 Floor Skinz is a concrete floor coating company that can help waterproof your concrete floors as well as make them more beautiful! 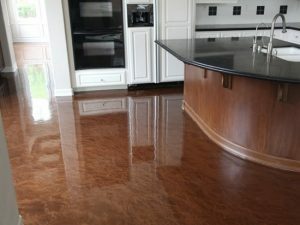 Floor Skinz has been leaving smiles on all our customers since the birth of our company! 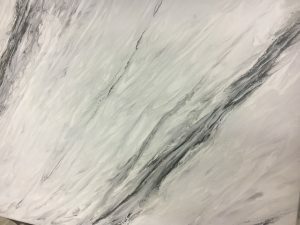 Let Floor Skinz leave a smile on your face after we give you the floor of your dreams! 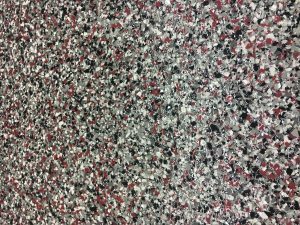 Close up of an epoxy chip floor with red, black, grey, and white! 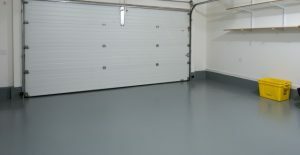 Grey epoxy garage floor coating.